Here's your chance to grab as much cash as you can! 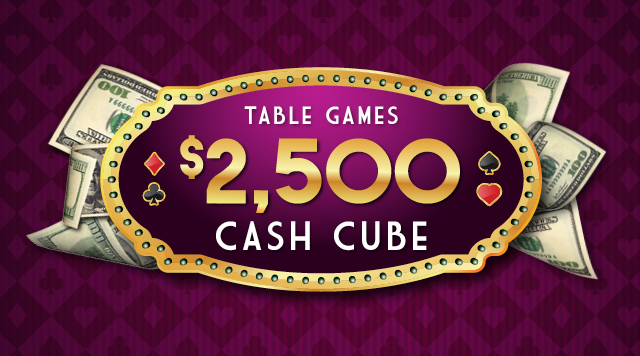 We'll draw one winner every half hour to take a turn in the Cash Cube. Earn entries by playing your favorite table games with your Diamond Club Card.